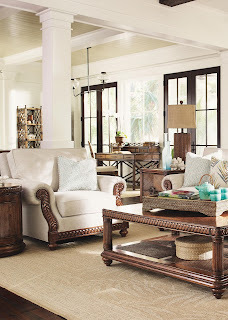 Baer's Custom Furniture is the leading furniture store in Florida. 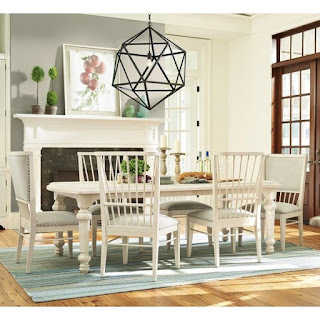 Read more about furniture tips & tricks at our blog. No matter if you work from home full time or you put in extra hours at home from time to time, creating a home office that inspires you and keeps you organized is key to your success. Choosing the right office furniture is just the beginning. These four steps will help you create the perfect home office. Finding the right space can be a challenge. If you have a room you can convert into a home office, it’s easy. However, if you don’t have a spare bedroom, or prefer a different space, finding the right spot can take a little effort. You may need to use a portion of a guest room, or tuck it into a nook in your home. Before you decide on the location of your home office, figure out how much space you will need. If you are using it for a place to pay bills and keep them organized, then a small nook may be perfect. If you are working from home full time, you may want an entire room or at least part of a guest room where you can close the door for privacy. Sofas and other seating really create the foundation for a room. Choosing custom upholstery is one way to make sure you get the exact look you want. A custom piece allows you to have all the say in what your furniture looks like. You choose the fabric, color, pattern, arm shape, leg shape, and more. You’ll find pretty prints, bold colors, classic and trendy textures, and embellishments that will transform your space into a place that looks and feels exactly the way you want it to. Your furniture is something that you use every day, so you should get the exact piece you want. And it is easily doable with most furniture manufacturers offering custom options in their furniture collections. Here are five things to consider when choosing custom upholstery and so much more. 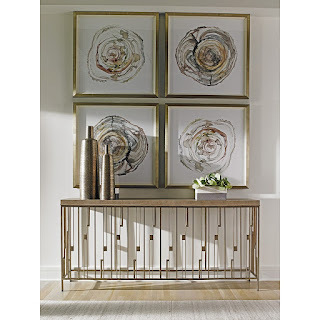 A uniquely customizable living room collection, the Solutions 2053 collection from Huntington House allows you to take the lead in what your furniture looks like. 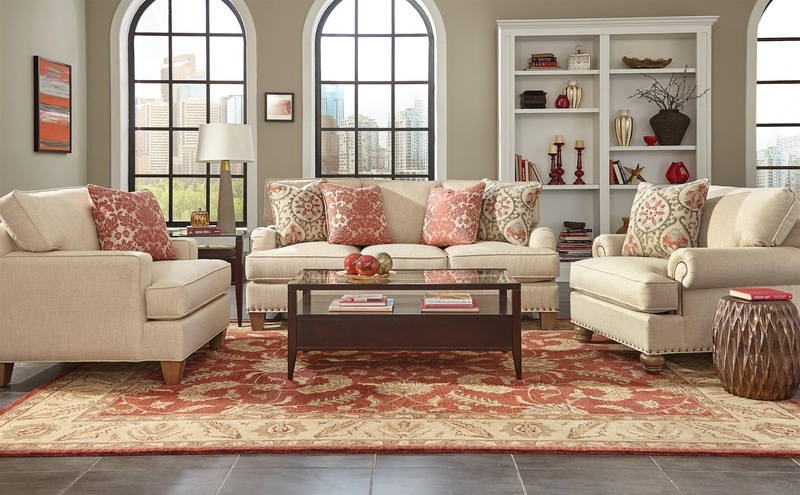 You have four bases to choose from – skirted, block leg, bun feet, or upholstered. If you choose an exposed wood base, you have 27 different finishes to choose from. When it comes time to choose your arm style, you can pick a sock arm, panel arm, pleated arm, modern track arm, classic track arm, or padded track arm. That’s a lot of arms. The arm style can really set the tone for your sofa or chair. The arms can take up crucial real estate in your room, so if you are already tight on space, consider choosing a thinner arm. This not only takes up less actual space, the streamlined look will also take up less visual space. When deciding on the cushions for the back of your sofa, you have two types of backs to choose from: loose or tight back. Loose cushions are removable and often fluffier. Tight-back sofas have no cushions to remove. The back of the sofa is tightly upholstered and often tufted. This is usually seen on contemporary sofas, or on vintage-inspired looks. They look neat and streamlined, but not necessarily cozy. Options in the C9 Custom Collection by Craftmaster include semi-attached knife back, loose knife edge back, semi-attached boxed back, and loose boxed-back. In semi-attached backs, tops of the cushions are sewn in, but the rest are not. Now comes the fun part. Before you get too excited, take a moment. The color and pattern you want is important, but there are a few other factors to consider. Some bold colors tend to take over a room, so think about everything that is going in the room, décor-wise. 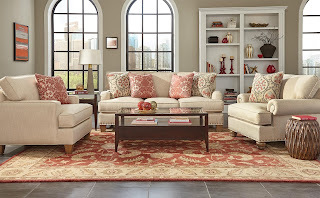 If you are looking for a true statement sofa, go ahead and choose that red, purple, or green leather upholstery. Nothing wrong with that. But if you are looking at your new sofa as more of an accent piece, you may want to use a bold color in moderation. Options such as contrast welting, decorative stitching, and nailhead trim will vary from style to style, but are usually available when creating a custom piece. These are like jewelry for your furniture. You may not need them, but they can add the finishing touch to the piece when placed just right. At best, buying a new sofa is fun and exciting, at worst it can be irritating and stressful. 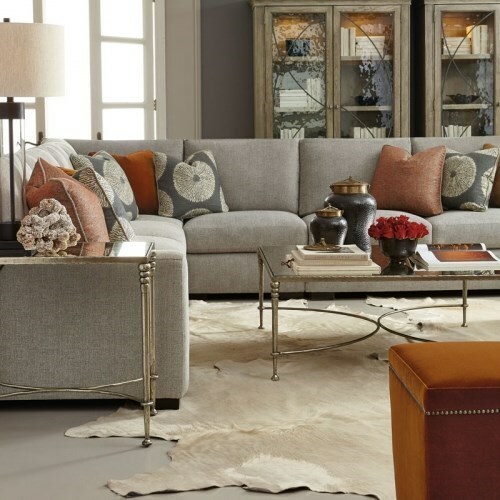 With custom upholstery, you can truly choose almost anything you wish, and create furniture that will make a statement. Armed with this information, you should feel confident and assured that you will make the right decision for your home. Learn more about Baer's Furniture. Find more design inspiration and read Baer's Furniture reviews on Facebook. Everyone knows what goes in a living room: sofa, chairs, coffee, or cocktail table. Although the sofa is almost always going to take center stage, the supporting players in your living room décor can make or break the entire look. With these tips, you can put together a well-decorated living room that your family can enjoy and one that will also impress your guests. Looking for interior design inspiration? Look no further than Pinterest. Pinterest is a great source for design ideas, and they make them easy to find. What could be better than that? So read on to see some of the most popular interior design trends according to Pinterest. Digital marketing has changed a lot about how businesses interact with their customers, but some things have remained the same. A good example of something that hasn’t changed in the digital age is the importance of word-of-mouth advertising. Even in the information age, most people make decisions based on reviews they read online or on social media. Online reviews are the newest iteration of word of mouth. The importance of online reviews has increased as people become more distrustful of traditional advertising. Whether they know the reviewer, 69% of local customers trust online reviews as much as recommendations from a friend, and 84% of shoppers in the U.S. use reviews to help them make their decision. Word of mouth has traditionally been one of the best ways for local businesses to build trust and authority with their customers. But, with consumers increasingly turning to online research to influence their purchasing decisions, online reviews play an important role. They are the equivalent of word of mouth advertising. And with more consumers searching on mobile, local business reviews can mean the difference between someone stopping into your business or bypassing it completely. Let’s begin with some statistics*. Have ever wondered how to take your interior design from good to great? Whether you want your home to look like a luxury hotel or you just want to jazz up your interiors, these tips will help you get the look you want. When decorating a home that already has plenty of character, it’s important to strike a balance between adding new elements and keeping old ones. You don’t want to get rid of its character completely, but rather enhance it with right mix of furnishings and accessories. The Bungalow Seven-Piece Dining Set by Paula Deed for Universal complements the architectural features of the room. The modern light fixture adds an element of surprise. Visit Baers.com to browse our catalog and learn about our latest promotions.